Love working with numbers? 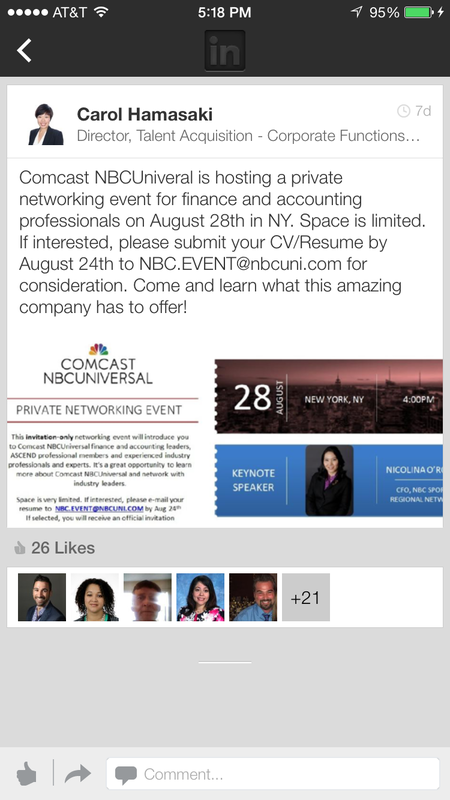 Good cause I don’t haha but there is a AWESOME networking event happening on August 28th in NY hosted by Comcast NBCUniversal for any finance and accounting professionals!! Check out the deetz down below! Women’s Marketing, Inc., a marketing services & media buying company is seeking bright & aspiring marketing candidates to join their team in Westport, CT! FiveThirtyEight, ESPN’s data journalism website is seeking a Podcast/Video Intern to help with the production of the site’s podcast, videos, and other interactive production in NYC!